Dermaflage Your Scars & Wrinkles – and Save 15% on Your Order! If you have surgical scars or acne scars, you know that it’s nearly impossible to camouflage them. I’m not talking about minor skin imperfections – I’m talking about those deeper scars that result from things like car accidents, major surgeries, or cystic acne. Well, I just recently learned about an amazing product that’s specifically designed to camouflage those types of problems – Dermaflage! Like many of the best cosmetics innovations, Dermaflage was originally created for people in the public eye, like news anchors who had blemishes that showed up on HD cameras. HD is completely unforgiving of even minor complexion problems, so imperfections like acne scars became glaringly obvious. In 2010, Dermaflage was adapted for consumer application. Dermaflage is completely different from any sort of cover-up you’ve ever used. It actually uses a thin, translucent layer of silicone to simulate skin and fill in sunken scars anywhere on your body, giving the effect of perfectly smooth skin. I’m actually really stunned at how amazingly effective it is – check out this unretouched before & after photo! In addition to acne scars, surgical scars, or scars left over from accidents, Dermaflage can also be used to fill in deep frown lines between your eyes that make you look worried or angry. 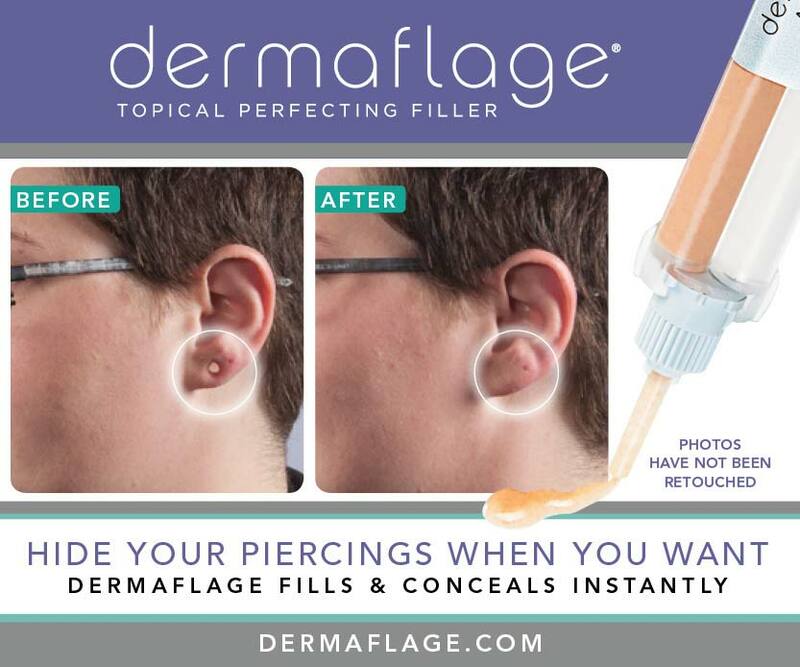 Or if you have facial piercings that you want to temporarily cover up, Dermaflage even works for that! Here’s another before & after photo – honestly, I didn’t even know it was possible to so effectively fill in gauged ears! Dermaflage is made of medical grade ingredients and has been safety tested by dermatologists in addition to being allergy tested. It’s waterproof, non-invasive, non-irritating, and lasts for up to 36 hours! It’s really easy to use – prime, fill, texture, done! There’s a Tone Chart to make sure you get the perfect shade for your skin – each starter kit comes with a lighter shade and a darker shade of your chosen tone to ensure a color match. And if neither of those shades works for you, tone exchange is available. A Dermaflage Starter Kit (approximately a 2-3 month supply) retails for $50 and comes with two applicators of your chosen complexion tone, primer with brush, mixing stick, precision application tool and spatula, and texture pad. There’s also a 30-day money back guarantee for all starter kits. Dermaflage has a couple of money saving specials happening right now that I wanted to share with you – from now until February 15th, you can save 15% off Dermaflage with Code: vday15! And if you’re seeing this post after that date has passed, you can still save 10% off any order at Dermaflage.com with Code: super10 through March 30, 2015! 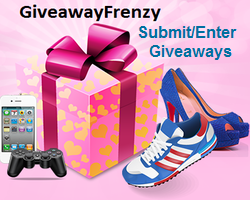 This entry was posted in Deals & Freebies, Reviews and tagged Beauty by Tara.Bookmark the permalink.